Today we spent the day touring Bali with our lovely guide Budi. An early 6am start meant we arrived in Ubud in time for brunch. Ubud is a brunch lovers Mecca, a ‘wellness destination’ for millennial yogis trying to fill their souls with serenity and smoothie bowls. 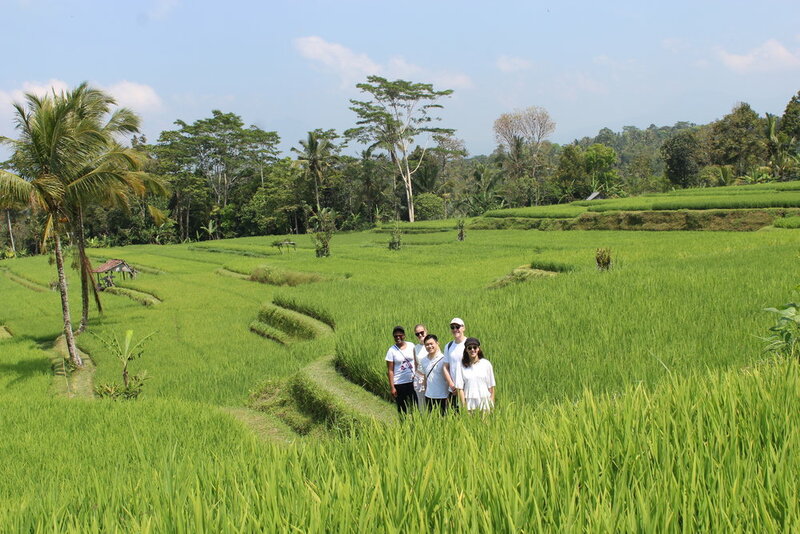 They come to Ubud to find themselves while getting lost in the rice paddies. We quickly assimilated to this kind of tourism and set off to ‘get the gram’. We visited traditional rice fields and wandered through a small village. Budi explained the traditional Subak water management system, a social and spiritual way to manage fresh water. Under the Subak system, the community decides the distribution of water resources thus ensuring that all households, temples and crops get their share, you can read more here. Balinese villas are beautiful and ornate, some even include a family temple. The shady open plan rooms open onto outdoor living spaces with fountains and gardens. Water is an important part of the interior design of the home. Budi showed us a new development being built by the local community: a symmetrical valley of bamboo and rice terraces, with plans for an infinity pool in the future. It was fantastic to see the site being developed by the local community. Here we drank coconut water straight from bamboo straws, I was feeling truly #wellness. 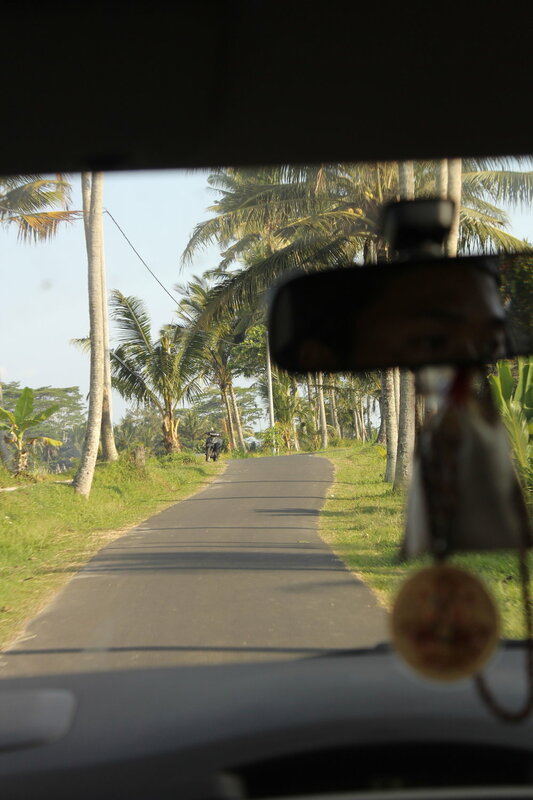 Budi then drove us to the edge of the caldera of the active Mount Batur Volcano (Gurung Batur). The tiny town of Kintamani overlooks the volcano. The caldera has a lake and three prominent vents, you can still see the charred lava fields from the 1968 eruption.